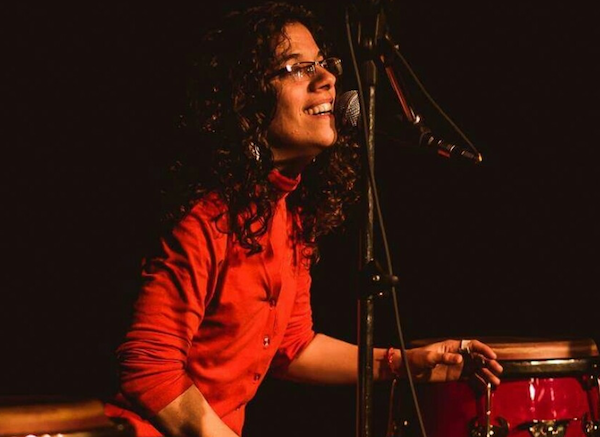 Carolina Cohen is an outstanding percussionist of afro peruvian rhythms. She perfected her skills with masters: Marvin Diz, Richie Flores, Hubert Reyes, Lalo Izquierdo, Chaqueño Martinez, Marco Campos, Giggio Parodi, Yaroldi Aabreu, Mauricio Herrera, and others. "Prasanna plays Illayaraja's BG Score themes"
No Replies to "Carolina Cohen Trio"